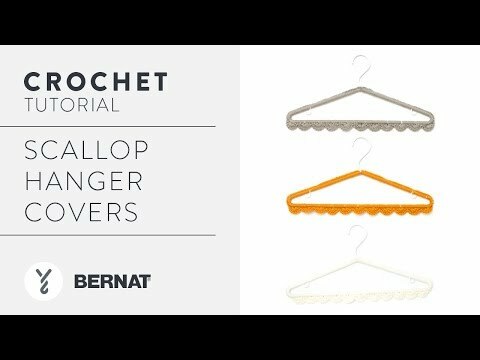 How cute are these hanger covers for novice crocheters, in Bernat Super Value? To fit standard plastic clothes hanger. Try your hand at these easy hanger covers that bring a charming touch to your home. Choose the colors you prefer from the range of solids, ombres and heathers in our Bernat Super Value. Select shades that work with your space, adding a touch of personality to any closet.